Based on the open-source code for the original Planning Center Projector, but updated to the new Planning Center API. A Planning Center Services account is required to use WorshipStorm Projector - and that’s a good thing! Planning Center Services is your one-stop cloud for worship service planning, including songs, media, and presentations (PowerPoint). 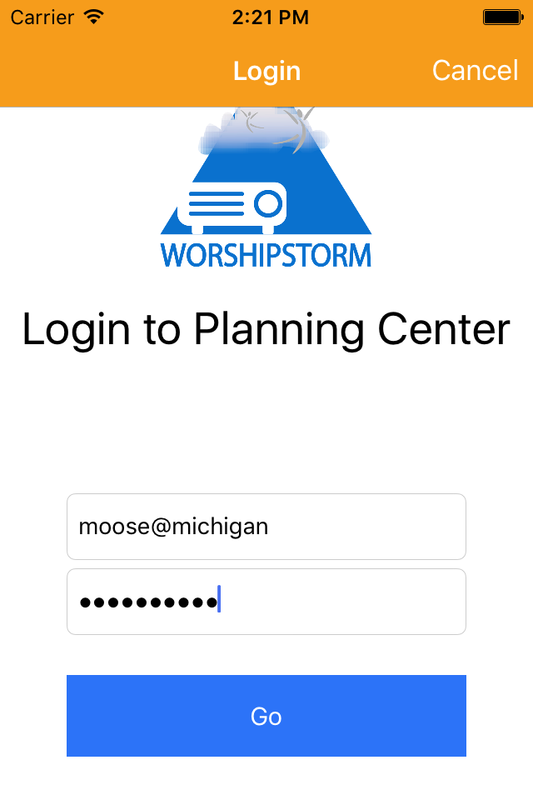 Data (songs, presentations, media) from your Planning Center Services account is slurped down (that’s a highly technical term) into WorshipStorm Projector for the service plans that have been defined. Just login and go! Use your existing Planning Center account - or create one for free! Like your songs to be plain and simple? Like them to have static images or video loops in the background? Want to run your pre-service announcements in a loop? All this and more is available from your iOS mobile device (iOS 9.3 minimum), using a wired 2nd screen connection or AirPlay mirroring - and you get gorgeous results.